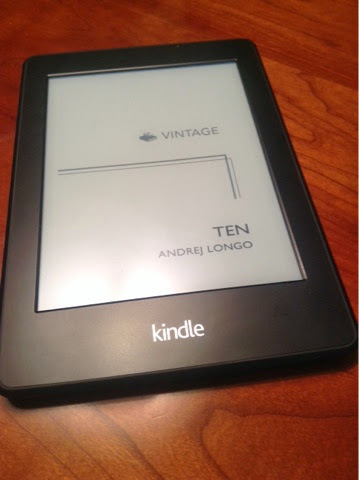 rather than the one which inhabits the pages of Andrej Longo’s Ten. The book is a series of interlinked stories looking at the “underbelly of Naples”, stories which make me react in an almost visceral way. The sentences are powerful and short, as if they’d been punched onto the paper before they punch into your heart. They are not filled with fancy turns of phrase, but more closely resemble what I think Hemingway meant when he said he wanted to write “just one true sentence” by the end of the day. Interestingly enough, with such dark themes as crime and corruption, the Mafia and murder, the titles of these stories reflect the Ten Commandments. The reader is faced with beginning a chapter entitled something like, “I Am The Lord Thy God, Thou Shall Have No Other Gods Before Me” and equating it with a Mafia godfather to whom people must turn for safety. The irony is quite compelling. This collection is part of the IFFP’s long list for 2014. It will most certainly make my personal short list. Like Sylvia Avallone’s prize winning novel, Swimming to Elba, I could get enough of Andrej Longo’s prose. The whole use of the Ten Commandments theme sounds like it could be very interesting. I might have to give this one a try! Sounds most intriguing. I suspect you imagine Italy as I imagine France — and that the stories are the same, the locales different. It does sound like something I would enjoy. Thanks for the overview! Sounds quite enticing, Bellezza! The irony of the chapter titles would also draw me into the darkness. Oh me too. I long to see it. I long to spend like a month exploring it from tip to root. *le sigh* One day! This sounds amazing. What a beautiful Hemingway quote to add. You my dear dolce bellezza have a way with words. It's a great collection of stories and I loved their directness and raw honesty. 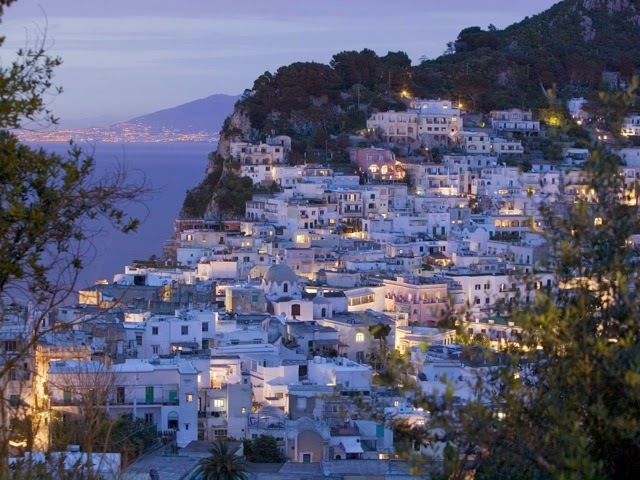 Longo really seems to have captured the essence of Naples..
You're not the only one that is partial to Italy: it has always amazed me how so much beauty and love of art can coexist with so much corruption and cruelty – it's the perfect place for 'noir'. I've never seen the commandments so effectively interposed within fiction. What they tell us to do, within the brutality of life, is so ironic within these pages. Not that I question them, I believe in them with all my heart. The Italy that I have seen, and France as well, is only the most lovely.,I remember crying without ceasing when only a child, and our family left a a town along the coast. These points of view of mine, however, are limited to the experience of a traveler, not a resident, and of the more aesthetic parts, not the crime ridden ones. It just shows how limited my experience is, which is part of the reason for reading translated literature. And, Longo writes so effectively that the darkness is portrayed powerfully, yet subtly. We aren't suffering the murder of a mother, for example, I graphic detail. Only the gamut of emotions afterward left to our imagination. I don't know Naples, Italy very well. I've only spent time in Florence, Molan, Venice and Rome, as well as little town scattered about. I would like to see Naples now, especially as my hair stylist, Santo, verifies everything recorded in this collection. Directness and raw honesty is a perfect way to describe it. I admire Longo's writing very much. I can't tell you what a rich experience this has been for me, to read such translated literature as the IFFP long list. With you and the others. I think you're right, Marina, art and beauty (and delicious food and friendly people) all mixed in with corruption and cruelty…I guess it is a perfect place for noir. Much like any place in this fallen world would be. I do love a good expectation-bending book, though I'll admit a bit of apprehension re: the ten commandments thing. It seems like it might come off as very gimmicky… how does the book avoid that trap? Good question, Bibliobio. He avoids that trap by not being the least bit preachy. In fact, the commandments are used more as a literary tool than a religious one. Part of me feels that he is saying, “These are all well and good, but how is one to follow them in life?” Especially the difficult lives his characters have in crime ridden Naples. It's really fascinating to think about, all the irony which is involved. For example, in another story a mother asks her son to commit a murder, and the title is “Thou Shalt Honour They Father and Mother.” Really?